Karin Willison and service dog, Aria. House Republicans voted to repeal and replace Obamacare at the beginning of last month.. If the American Health Care Act passes in the Senate, 24 million people will lose their access to health insurance. Secondly, people with pre-existing conditions would also lose their coverage. The AHCA would also cut billions of dollars from Medicaid over the next 10 years, which would be disastrous for programs that help people with disabilities and elderly people. We’ve asked HelloGiggles contributors to discuss how the AHCA would hurt them. I have never lived in this world without a preexisting condition. When I was diagnosed with cerebral palsy as an infant, doctors told my parents I would never walk, speak, or live independently, and that I’d have severe intellectual disabilities. They told my parents to put me in an institution and “move on with their lives.” Thankfully my parents didn’t believe them, and fought for me to have equal opportunities in life. I excelled in school, started doing public speaking at age 12, moved over 2000 miles from home to attend Stanford University, and have been living independently ever since. The doctors got one thing right — I can’t walk — but my speedy power wheelchair gets me wherever I need to go. Today, I’m a successful adult with a fulfilling life. I earned my Master’s degree, live in my own home, and work as Disability Editor at The Mighty. 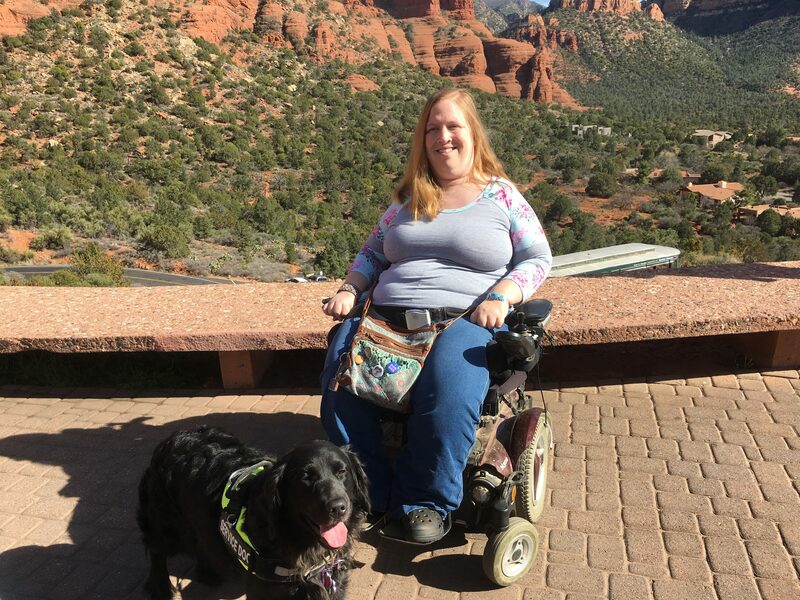 I also have my own blog, Free Wheelin’, where I write about life and travel with a disability. I identify as a lesbian, and like most people, I’ve had good and bad relationships. I love traveling, musical theatre, live music, the outdoors, and my four beloved dogs, including my service dog, Aria. My disability is just a small part of who I am, but lately, I’ve had to think about it a lot more. The complex web of programs people with disabilities need to be independent are under attack, and the life I’ve worked so hard to build for myself hangs in the balance. The biggest threat I face is the AHCA’s proposed $880 billion in cuts to Medicaid. I require several hours of personal care assistant services per day to get out of bed, shower, dress, and cook. With the Medicaid waiver program in my state, I can hire people of my choice to care for me, and the state pays their wages. I hire mostly family, friends, and people from the LGBT community — individuals with whom I share common interests and values, who respect my bodily autonomy and assist me in the time, place, and manner of my choosing. Medicaid is my only option to pay for my assistants. No private insurance, including ACA/Obamacare, covers in-home care. Without Medicaid, my care would cost about $4000 per month, far more than my income. Luckily, the Medicaid Working Disabled program allows me to have a job while keeping Medicaid services — but it’s a balancing act. I have to be careful not to earn too much, or I’ll lose my home care funding. I can deduct disability-related expenses from my countable income, or put funds in an ABLE account, but it requires lots of record-keeping and shuffling money around. 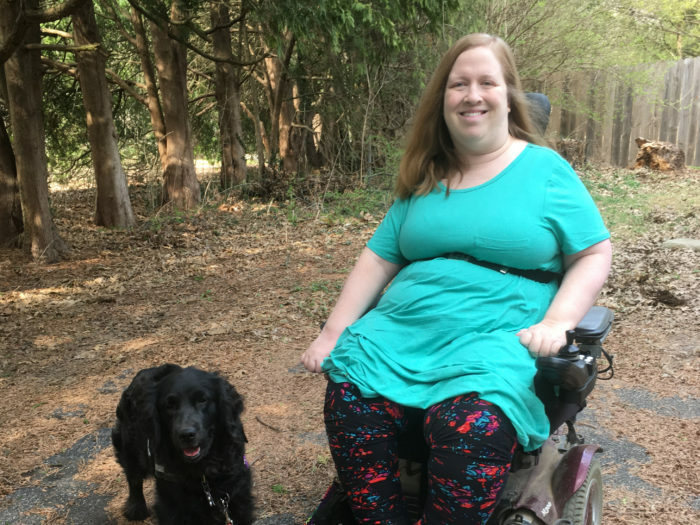 Living with a disability is like having a stressful part-time job you can never quit — but the reward is living a meaningful life instead of being trapped in a nursing home. I cannot imagine living in a nursing home at age 40. My home in the country with a big yard is my sanctuary. My dogs are my children. Travel is my passion. I work four days a week at a job I love. I shop, go to the theatre, and spend time with friends. Anything else wouldn’t be living. It would be a fate worse than death. But that’s what I could face if Medicaid is cut. Even though home care is less expensive, and the Supreme Court ruled that it is a fundamental right, it’s still classified as “optional” under Medicaid regulations. That means states can choose not to offer it, making nursing homes the only option. They could also severely cut services, leaving me without adequate hours of care to leave my home, bathe regularly, or use the bathroom often enough to avoid life-threatening infections. I am a hard-working, contributing member of society. These are values Republicans claim to support, but the AHCA could take away the life I’ve built. 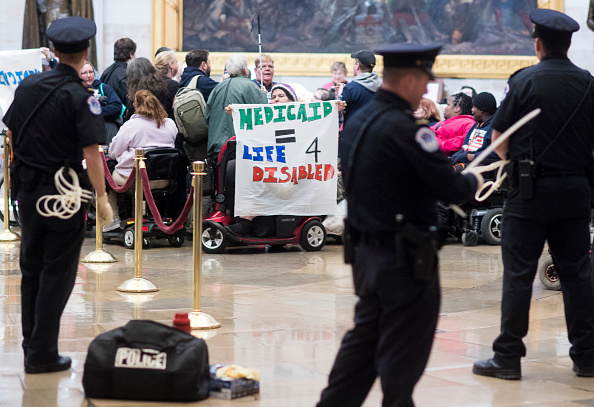 The AHCA takes essential care from those who need it most — working people with disabilities, the working poor, and people with disabilities who aren’t able to work at all. It would cause more people to fall through the cracks of our healthcare system, including people like me who have spent our whole lives taking every precaution to make sure our needs are met. Please contact your Senator and urge them to vote no on the AHCA. My life, and the lives of other people with disabilities, depend on the ACA, Medicare, and Medicaid. Don’t take our lives and freedoms away!